Thank you so much for sending in your numbered preferences for new and future embroidery patterns, there was an overwhelming response! More than 375 comments came in via the Blog and Facebook and each number choice was entered into an Excel sheet, so you can imagine it was quite a task! Firstly let me clarify that this survey was for Needle Painting and not Whitework. 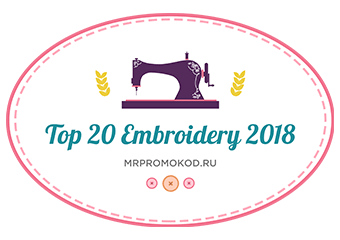 The results were quite surprising, and although the traditional subjects remain steady favorites, I am delighted that some of you are branching out into new territory and thinking outside the box with your embroidery projects. It has given me a very clear indication of what you would like to see in new and future embroidery patterns and I promise that all your preferences will be included. There were 7 definite favorites. Number 9 the Sunbird was the outright favorite by a long shot, followed by No 3 flower paintings. These were closely followed by brightly coloured, naive styled landscapes – it seems that landscape patterns are hard to come by in the embroidery world, so I will be looking more closely at these. Next was No 9 & 11 and finally No 1. The others had a few likes but not of any significance. All your votes will be taken into consideration and I will do my best to provide more patterns along these lines. To those who requested specific wild animals, birds, pets etc that were not listed on the options, more specifically from their country of origin, please understand that I have to cater for a wide audience from many different countries around the world and the subjects have to appeal to a majority. I will certainly take your requests into consideration and perhaps include them in future Whitework designs, but meantime, can I suggest that if you have a special project in mind for embroidery, that you take what you have learnt and design your own? I will be following up with a blog post on how to do this in the next few weeks. Small designs do not put strain on your neck and shoulder muscles whereas large designs do. A large frame or hoop is difficult to manoeuvre comfortably whilst stitching and tends to be heavy in the hand. Smaller designs can be finished in a shorter time frame whereas months or even years need to be devoted to a large design. Smaller designs are more interesting to work on – there are no large areas of filling which personally I find boring! Smaller designs have all the detail of a larger design but take up less wall space and provide more options for the final use. For those of you who prefer larger designs why not get your photocopy store to enlarge the outline and adapt the design to fit? Also you will be happy to know that the new book on Kew botanical paintings does include some larger designs. No matter what the size all Needlepainting designs should be worked with a magnifying lamp or a good light source and your spectacles to see the details and avoid eyestrain. You can find more details on this in my handbook. This has been such a useful exercise and I want to give a big thank you to everyone who participated. Till next time, wherever you are in the world, keep smiling and happy stitching. Thank you for the overwhelming response to the embroidery pattern survey. I am busy counting the votes and the survey has now closed. Will let you know the results very soon. Hope you are gently settling in to the New Year after the holidays? You will see that the Provencal & Vintage pansies are mounted using a double mount of sorts – here is the process for the mounting to try on your own creations. Cut two pieces of mount board: a larger one for the back mount and another to fit the mini embroidery. Cover the back mount with fabric of choice. Glue a piece of felt/thin batting on to the card to be used for the embroidery and position it ensuring it is nicely centered – pin in place to hold before mounting. You can read all about how to mount your embroidery here. Secure the mounted embroidery on to the back card using stitchery tape. Your mounted embroidery is now ready for framing. Easy! Have fun with it and wherever you are in the world, keep smiling and happy stitching. Happy New year and hope you had a wonderful Christmas! 2019 is going to be a wonderful creative year, I can “feel it in my bones”! Embroidery Shop – PDF Patterns, Materials & a new PDF Help section. Art Shop – Miniatures and Embroidery art for sale. Book Shop – Information on all my published books and where to buy them. New information on books in Foreign languages is available. Following that is a Gallery and Help & Support section. The Help & Support includes FAQ, Resources, Video tutorials, and How To’s. Please feel free to browse and familiarize yourself with the new layout and if you have any questions and can’t find the answer in the FAQ section you are welcome to email me. There are several new embroidery pieces available in the art shop. I have divided this into two sections – Embroidery and miniatures. Over the years I have stitched hundreds of embroidery designs, some of these now grace the homes of friends or loved ones but I have many others in storage and it is time that these were shared with the world. Each piece has been blocked and freshly mounted on to acid free card ready for framing/display. The theme for 2019 is all about miniatures. As mentioned last year I hope to pursue my career as an embroidery artist and to create more complex and unique pieces in a variety of threads. Some of these are for commissions and others will be offered for sale as and when available. The holiday gave me time to play around with different concepts and try out new ideas – although not all the ideas have come to fruition it was a lot of fun testing them out. I looked to the masters such as Matisse, Van Gogh, Da Vinci and many more, and decided to try and recreate these masterpieces in a slightly more contemporary form, in miniature – each piece is approx 2.5 x 3 inches. I am still experimenting, and so this is still very much work in progress – my work space is littered with threads of every description and colour and I am in a happy place doing my thing! Of course as promised I will continue to add new embroidery patterns to the PDF collection as and when time allows. If you would like to see anything in particular such as miniatures, whitework or needlepainting please leave a comment. What do you think about having some of the historical miniatures produced as patterns? To those of you who would like to take up embroidery but are not sure where to start – there are plenty of tutorials, videos, beginner patterns and books to get you started. You can find more information on the site here. Last but definitely not least is completion of the new book for Kew Gardens. I am working on the final stitching in the next few weeks and the manuscript is due for delivery by June 2019. The release date is uncertain but it should be before the end of this year, I will keep you posted on this. Just a reminder that the online shop will be closing on Monday 17th December and will re-open on Monday 7th January. Once again a big thank you for your support in 2018. I have some exciting new ideas in the pipeline for 2019 and look forward to sharing these with you in the New Year. We are having a quiet Christmas this year and hope to get on with some stitching for the new book and spend some time working on my own creations. Hope you manage to sneak some quiet time away from the festivities with your stitching! Wishing you and your family a very happy Christmas and all the very best for the New Year. Till then, wherever you are in the world, keep smiling and happy stitching.